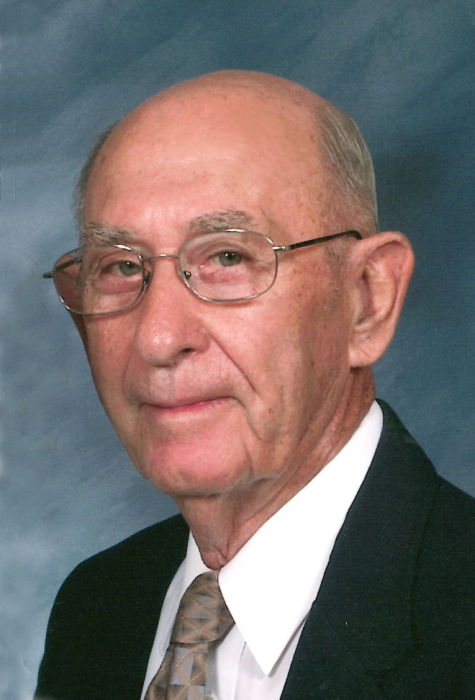 Charles “Peanut” Hodges, 90, of Florence, passed away on Monday, December 3, 2018 after an illness, surrounded by his family and nursing staff of The Manor. Mr. Hodges was born in Johnsonville, SC. He was the son of the late Charles Truman Hodges and Vera Munn Tanner Hodges Brown. He was a graduate of Florence High School and played Florence Semi-Pro football for a year until his knee was injured. He was a member of the National Guard from 1945 to 1946. He was co-owner of the Five Points Superette with brother, Walter Tanner from 1963 to 1973. Then he was owner of two IGA stores now operated by his three sons. He was a member of the Jimmy McNair Sunday School Class of St. Paul United Methodist Church, Florence. He is predeceased by his half-brothers, Wilbur Tanner, Harold Tanner, Walter Tanner, and sisters, Mary Brown, Alice Gregg, and Lena Hopp, also his grandson, Barry Steven Hodges, Jr.. He is survived by his wife of sixty-four years, Gladys Medlin Hodges, three sons, Barry (Frankie) Hodges, Keith (Kellie) Hodges, Philip (Jamie), Hodges; 10 grandchildren and 14 great-grandchildren. Funeral services will be held at the Mary Alice Ingram Chapel at The Manor, 2100 Twin Church Road on Friday, Dec. 7, 2018 at 2:00 p.m. The family will receive friends in the dining room at The Manor following the service. A private burial will be held. Memorials may be made to Alzheimer’s Assoc.South Carolina Chapter, 4124 Clemson Blvd. Suite 1, Anderson, SC 29612 and St. Paul Methodist Church, PO Box 5446, Florence, SC 29501. The family would like to “Thank” the staff, nurses and caregivers for the love and care given to Mr. Hodges during his stay at the The Manor. Layton-Anderson Funeral Home, 4210 W. Palmetto St., Florence, SC.